David Reynolds is over his championship-ending clash with Shane van Gisbergen, after an on-track altercation at Phillip Island that took Reynolds out of second place in the standings last year. After qualifying fourth and ahead of eventual champ Mark Winterbottom for Saturday’s first race, a collision with van Gisbergen sent Reynolds to the back of the field and out of mathematical contention for the title. Fuming at the time, the former Ford pilot said the Kiwi was “dead to me, bro” and mused that the good drivers in the field could get by without sending a competitor off-track. But now it is a new year, Reynolds has moved on from the incident and laughed at van Gisbergen’s suggestion of having a beer together on the Red Bull Racing Australia website. “Shane, to his credit, actually came up and apologised to me at Homebush,” Reynolds told v8supercars.com.au. Quirky Reynolds often wears his heart on his sleeve and didn’t hold back in 2015, throwing a jibe at Garth Tander early in the year, having a foot in mouth moment at Bathurst and speaking openly about his situation with Prodrive Racing Australia, before and after he was officially let go by the champion squad. “I just want to do what’s best for the sport – everyone wants to see a bit of emotion, everyone wants to see a battle,” Reynolds said. His 2015 championship finish of third is Reynolds’ best result in six years in V8 Supercars by a long shot, and was punctuated with two race wins across the season. The year was a rollercoaster – that has culminated in him lining up with Erebus Motorsport for 2016, something he is incredibly excited about. Reynolds admits he felt like last year was the only time he has had a real shot at the championship, having managed to finish every lap of every race across the season. The Ford Falcon FG X was “night and day” to his previous FG, and he came on strong after debuting it at the Australian Grand Prix after the Clipsal 500. “Last year, besides Adelaide, was probably the only time I felt like I had a legitimate chance,” Reynolds said. “It was still a bit of a long shot, but during the course of the year I got turned around four times due to other people's mistakes. Those four times, when I was in a very good position, could’ve been the difference between winning and losing. There’s no other way to describe 2015 for Reynolds than a rollercoaster, but he has been philosophical about the change of team. “I think everything has fallen into the right place – cats always land on their feet, don’t they? 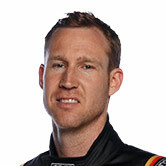 Reynolds will race in the Bathurst 12 Hour this weekend for Erebus before testing his new Holden Commodore at Winton Motor Raceway later this month. Erebus has switched from running Mercedes Benz AMG E63s to race Commodores in 2016.